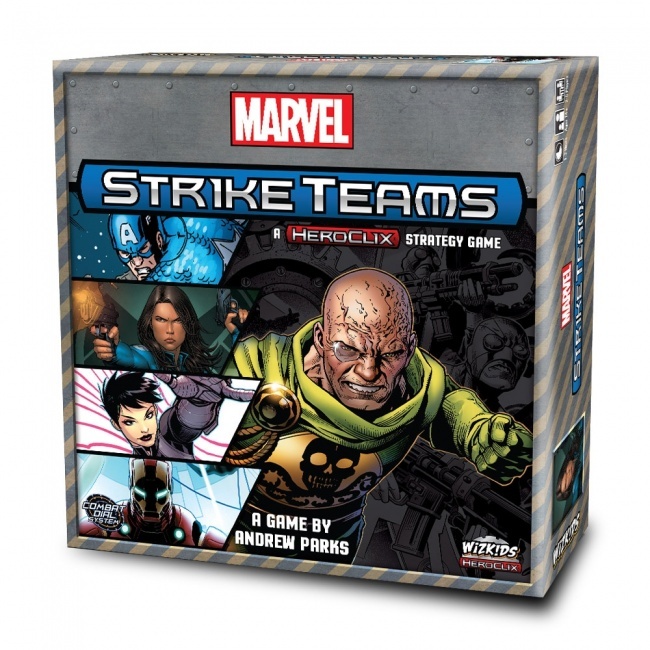 Putting a new twist on its highly successful HeroClix system, WizKids has announced Marvel Strike Teams, an �overlord� style game that uses HeroClix Combat Dial miniatures in a new way. The base game and its first expansion, Avengers Initiative will release in October. In Marvel Strike Teams, one player becomes a criminal mastermind, running the villains and overseeing the game in a way similar to the game master of a role playing game. Each of the other players takes on the role of their favorite Marvel hero, working together to thwart the mastermind�s plot. The heroes are represented in the game with HeroClix style figures, featuring the now-familiar Clix bases, but these new heroes will NOT be compatible with the HeroClix collectible miniatures games. The new game is mission based, with the heroes trying to achieve their objectives before the villains can. Missions can be played on their own,or combined into a campaign during which players can improve their heroes between missions. Marvel Strike Teams will include 13 HeroClix figures, 99 cards, 30 map tiles, 150 tokens, 80 cubes, 2 command dials, and 1 custom action die. The game is designed for 2 to 5 players, ages 14 and up, and each mission takes about 40 minutes to play. 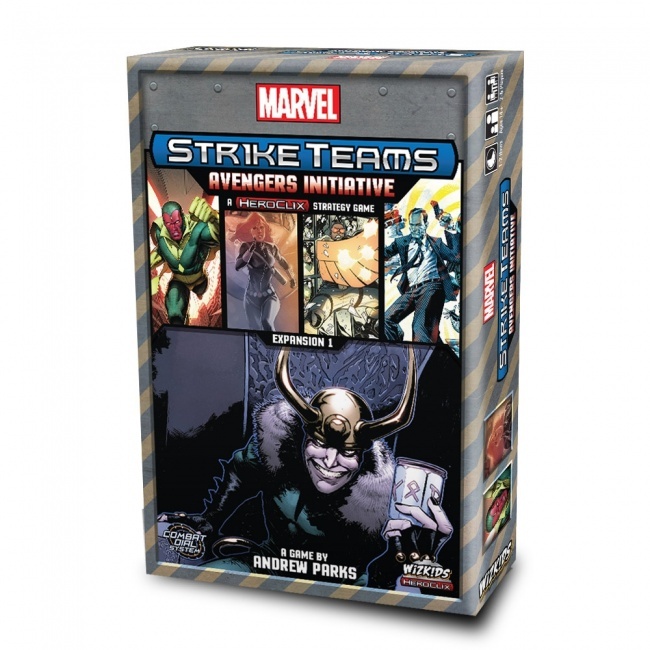 The first expansion set, Avengers Initiative will release alongside the base set. It focuses on the iconic heroes that form the Avengers, including Black Widow, Vision, and Falcon, as well as some of their familiar foes like Loki and Ultron. This set adds 8 additional miniatures, 72 cards, and 19 tokens to the game. Both the base game and the expansion set were designed by Andrew Parks (Star Trek: Attack Wing, Core Worlds, Parthenon: Rise of the Aegean).